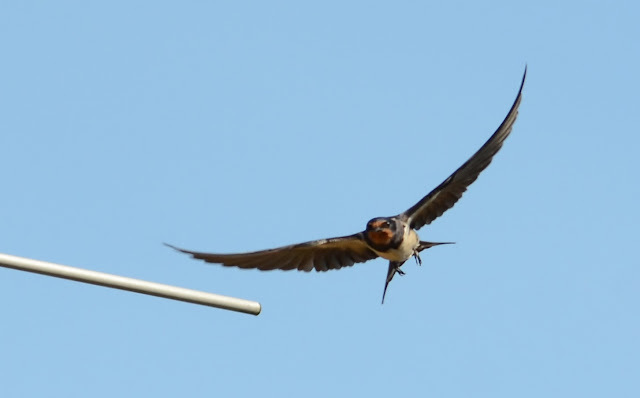 Suddenly over the last week there has been an influx of house martins and swifts over my house plus this beautiful pair of swallows. With the nice weather that has finally arrived this week I have found a bit of time to sit in the garden and watch them. It has been fascinating how they chatter away to each other continuously and follow each other everywhere. and finally one of the 8 local swifts. Not the best of photos as it was rather high but could not leave it out of this line up.